It doesn’t have to be this bad. IT’S SUNDAY EVENING and the Fear is comin’ a knockin’. Don’t panic. We’re here to help. Here are a few ways you can ease it, using nothing but your phone. Listen, sometimes you just need a reassuring inspirational quote. This app will give you many, and help to put your fretting into perspective. It might feel like you can barely catch a breath when you set that 6am alarm and hit the pillow still out of control with whiskey shakes. This app will guide you through some breathing exercises to have you chilled out and ready to sleep in no time. The minute you try to sleep on a Sunday night, every single worry and fear pops into your head. Drown em out with some background noise like rain or flowing water. Open Safari and head directly to the Today I F*cked Up (TIFU) subreddit to read stories of people who definitely screwed up their lives more than you did last night. 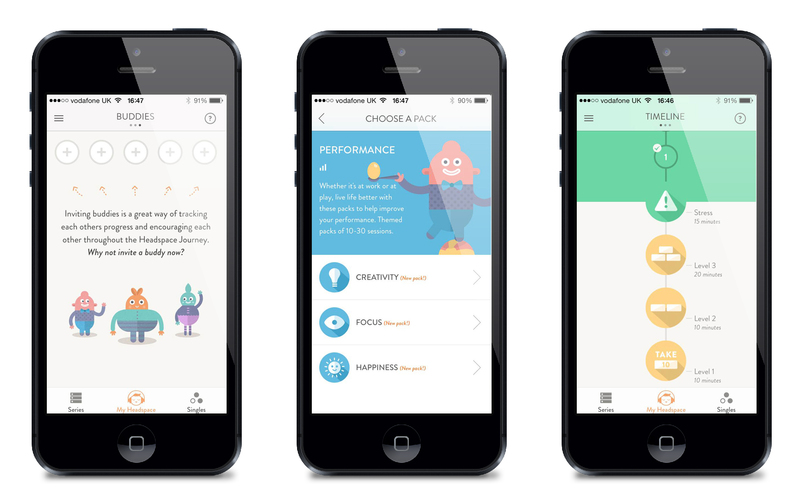 This app says it’s like ‘a gym membership for the mind’. That’s about the only gym you’ll be considering on a Sunday evening. This app has a range of subscription options, but you can get a free Take 10 programme will allow you 10 minutes of meditation. Their techniques claim to help you sleep better, love better, worry less, stress less, and live more. The most applicable session for the Sunday night Fear is probably the app’s SOS sessions, which are micro-meditation sessions which will bring you back from the brink of chewing your own arm off. Happy days. Download an Enya album, because Enya eases all worried heads. Use your phone checklist or download the super Evernote to list out exactly what you have to do tomorrow. Trust us, it will ease that anxiety and help to melt away the Fear.